Welcome to your new station in life. A great location in the soon-to-be-central-hub of Virar. An Environment filled with fresh air and open spaces. Homes that put your comfort and convenience above everything. Leisure zones that encourage community living and personal wellbeing. All brought to you by the long-time professional realtors - BHOOMI & ARKADE GROUP. It doesn't get more’ special than this. Get on board ACROPOLIS for the most special life in town. 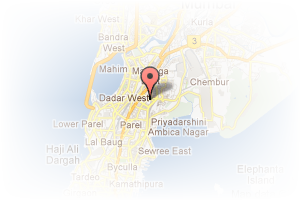 Address: Globalcity virar west, Virar West, Mumbai, Maharashtra, India. This Builder Profile page for "Bhoomi and Arcade Developers" has been created by PropertyWala.com. 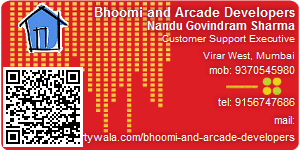 "Bhoomi and Arcade Developers" is not endorsed by or affiliated with PropertyWala.com. For questions regarding Builder Profiles on PropertyWala.com please contact us.